Harvard students are rediscovering the meaning of friendship. An online site designed to connect old and new friends has everyone talking—and typing. Today, two weeks after its inception, thefacebook.com has blossomed from about 650 members early last week to a network of over 4,300 student, alumni and faculty subscribers as of yesterday. He said that the number of registrants is likely larger than the 4,300 estimate because users can manipulate the website’s privacy options to prevent themselves from being counted in a rough tally. 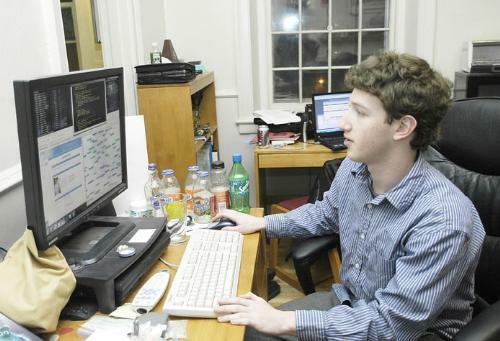 Zuckerberg said that he thought that the popularity of thefacebook.com was due to its social networking abilities more than to its potential as an academic resource. “I downplayed some of the functional parts of the website, like listing your courses, because I realized that people would use it for the social aspect,” he said. Thefacebook.com, which resembles the website Friendster, enables users to upload photographs, personal information and their course lists. Members can create networks by looking up other users and inviting them to be friends. After a friendship is confirmed, users are electronically linked to each other from their profile pages. The website also allows users to graphically visualize how their friends are connected in an intricate web. Aaron D. Chadbourne ’06, who has racked up 159 friends on thefacebook.com, said he particularly liked how the website allowed him to see how people in the Harvard community are connected. “I think that’s one of the great things about thefacebook.com—that it fosters a sense of community. You can forget that your friends are friends with each other,” Chadbourne said. But member Samantha H. Fink ’07 said that she joined the website to utilize the functional aspects. “I wanted to find allies for classes. I joined during the first week of shopping period, and people were talking about forming study groups. It was a very easy and convenient way to do that,” Fink said. Several students complained that some users attempt to use thefacebook.com as a popularity tool and entice complete strangers to be their friends. Fink said she avoided establishing friendship status with strangers. “I feel mean rejecting people’s friend requests, but the only people I’m friends with [on the website] are people I’m actually friendly with,” said Fink, who has 175 friends on thefacebook.com.